When it comes to the keto diet, the Instant Pot gets a whole lot of (well-deserved) love — but there's another appliance you definitely shouldn't sleep on if you're all about that high-fat lifestyle: air fryers. 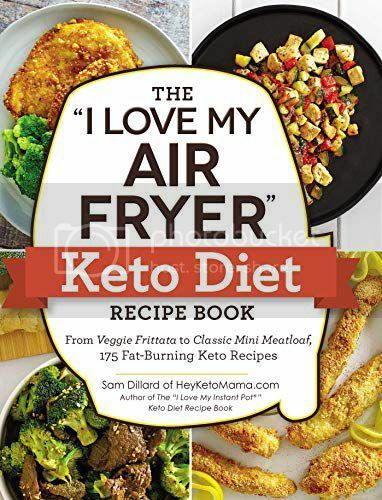 EXCERPTED FROM THE "I LOVE MY AIR FRYER" KETO DIET RECIPE BOOK BY SAM DILLARD (HEY KETO MAMA) COPYRIGHT © 2018 ADAMS MEDIA, A DIVISION OF SIMON AND SCHUSTER. USED BY PERMISSION OF THE PUBLISHER. ALL RIGHTS RESERVED. PHOTOGRAPHS BY JAMES STEFIUK. I hear you: Air fryers seem kind of counterintuitive to a diet that basically tells you to eat all the fats. But here's the thing: Air fryers don't actually remove fats from foods — they just use the natural fats in foods to cook them without any additional (possibly unhealthy — yes, even on the keto diet) fats or oils. 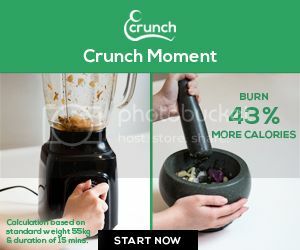 That's according to The "I Love My Air Fryer" Keto Diet Recipe Book, which promises to help you use this newfangled contraption to cook the keto meals of your dreams. 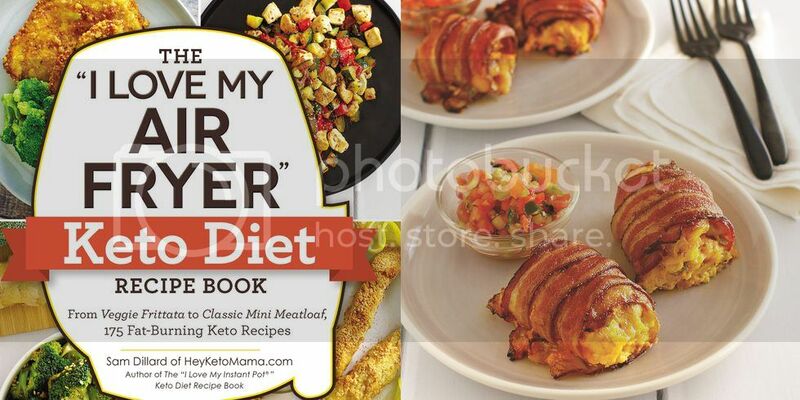 The cookbook: The "I Love My Air Fryer" Keto Diet Recipe Book (Adams Media), out now. The author: Sam Dillard, the writer and photographer behind Hey Keto Mama, a food blog that caters to keto dieters and focuses on "cutting carbs" and "striking out sugar." What you'll get: The "I Love My Air Fryer" Keto Diet Recipe Book has 175 keto-friendly meals (I'm talking breakfast, lunch, dinner, apps, side dishes, desserts, and snacks) that you can make with your air fryer. In a medium skillet over medium heat, melt butter. Add onion and pepper to the skillet and sauté until fragrant and onions are translucent, about 3 minutes. Whisk eggs in a small bowl and pour into skillet. Scramble eggs with onions and peppers until fluffy and fully cooked, about 5 minutes. Remove from heat and set aside. On work surface, place three slices of bacon side by side, overlapping about a quarter of an inch. 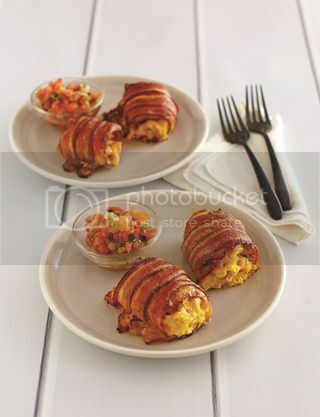 Place 1 ⁄4 cup scrambled eggs in a heap on the side closest to you and sprinkle 1⁄4 cup cheese on top of the eggs. Tightly roll the bacon around the eggs and secure the seam with a toothpick if necessary. Place each roll into the air fryer basket. Adjust the temperature to 350°F and set the timer for 15 minutes. Rotate the rolls halfway through the cooking time. Bacon will be brown and crispy when completely cooked. Serve immediately with salsa for dipping. For more healthy, keto-friendly recipes you can make in your air fryer, buy The "I Love My Air Fryer' Keto Diet Recipe Book here. You can find even more weight-loss friendly cookbooks here. This article first appeared in Woman's Day.